Washington Homeopathic Pharmacy (WHP) began in 1873 in Washington, DC. It was common in those days to have a homeopathic pharmacy in every city, essentially serving the needs of those in the area. Joe and Linda Lillard bought the pharmacy in 1991 and renamed it Washington Homeopathic Products. In 1993, the Lillards established a second branch in Berkeley Springs, WV. It is called Homeopathy Works and the focus there was bulk manufacturing, sales to retailers, pharmacies, small chains, and private label companies. There is also a small homeopathic museum. In 2004 the Bethesda store was closed and all operations moved to West Virginia. With business still on the rise a 12,500 square foot production facility was built in 2005. A new addition, housing all of WHP, is planned for 2007/2008. WHP is one of the last of the original homeopathic pharmacies. WHP makes and maintains all the single remedies (over 1,700 available) and ships to individuals, veterinarians, physicians, etc.WHP also sells to distributors and does private labeling for over 30 companies. 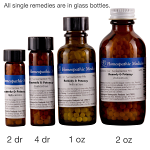 Homeopathic remedy kit that contains 50 Remedies in 1/2 dram vials. This very popular home remedy kit was assembled based on the recommendations of well-trained homeopaths and 144 years of WHP experience. Indicated for Fear, Chills, Colds, Cough, Eye pain, Dizziness. This product contains a 30c dilution of Argentum Niticum. This product is a 6c dilution of Argentum Nitricum. This product is a 200c dilution of Arnica Montana. Homeopathic sucrose/lactose pills commonly used for trauma. Excellent for Athletes. Indicated for Vomiting, Anxiety, Chills, Diarrhea, Bruises. Homeopathic sucrose/lactose pills commonly used for food poisoning. Indicated for Low back pain. Unit Size: 2 oz ointment in a convenient squeeze tube. 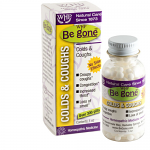 This gentle formula is a natural homeopathic remedy that relieves allergies with no side effects. 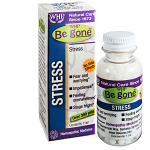 Be Gone Scars, 2 oz. Gently eases the fear and worry that is often brought on by stress. Be Gone Warts & Tired Feet, 2 oz. Homeopathic sucrose/lactose pills commonly used for sudden fever with perspiration, headache and confusion. 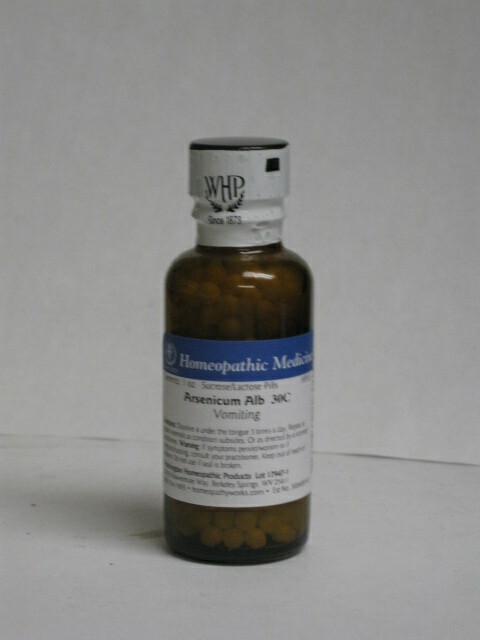 This homeopathic remedy is a mineral remedy. Indicated for Exhaustion, Belching, Bloating, Confusion, Indigestion. Indicated for Motion sickness, Muscle spasms, Drowsiness. Indicated for Colic-like pain, Cramps, Minor stiffness in joints. Sucrose/Lactose pills of Eupatorium Perfoliatum at 30C potency. Ferrum Phos. helps the lungs to distribute oxygen throughout the body. It is useful for inflammations, nose bleeds or muscular strains. This product is a 200c dilution of Hypericum perforatum. Ignatia is a homeopathic remedy derived from the bean of a small tree that is native to the Philippine Islands and China. Contains 12 Combination pills for the Symptomatic Relief of Indigestion. For the relief of sleeplessness caused by grief, intense mental application, etc. Non-habit forming. Will not cause drowsiness. Indicated for Debility, Cold hands and feet. Kali Phos. feeds the nerves and is useful for nervous conditions like upset stomach, nervous headache, sleeplessness, grumpiness. It has also been used successfully for the treatment of shingles. 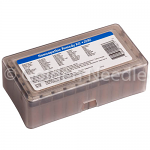 Homeopathic sucrose/lactose pills commonly used for puncture wounds. Mag. Phos. is noted for its relief of muscular cramping symptoms, especially cramping, shooting, darting or spasmodic pains as well as for nerve pains, like sciatica. Symptoms are better from warmth, pressure and bending double but worse from cold. The remedy Natrum muriaticum is a mineral remedy. Nux Vomica is commonly prescribed for gastric disorders occasioned by overeating or excessive medication. Eliminates odors from bathrooms, kitchens, carpets, litter boxes, shoes and socks. It is a very unusual product, made in a manner similar to that used in homeopathy. Odors simply go away - there is no masking odor. Washington Homeopathic Products Poison Ivy Pills contain the homeopathic remedy Rhus tox 4x and have been registered with the FDA since 1938. Poison Ivy Pills may be used for prevention or treatment of poison ivy and poison ivy-like rashes. They are completely safe and natural, produce no side effects or drug interactions and are estimated to be effective for about 80% of consumers. Indicated for Weeping, Indecision, Symptoms of colds.